Trainer Christophe Clement has officially taken Pure Sensation out of consideration for the Breeders' Cup Turf Sprint, according to drf.com. The 7-year-old gelding most recently finished third in the Belmont Turf Sprint Invitational, and Clement is not happy with his condition after the race. “If I want him to last, I need to look after him,” said Clement, who saddled the gelding in five starts this season. Pure Sensation hit the board each time he left the starting gate in 2018, and time out. He has competed in three straight editions of the Turf Sprint, finishing eighth in 2015, third in 2016, and fifth last fall at Del Mar, beaten just 1 1/4 lengths after setting the pace. 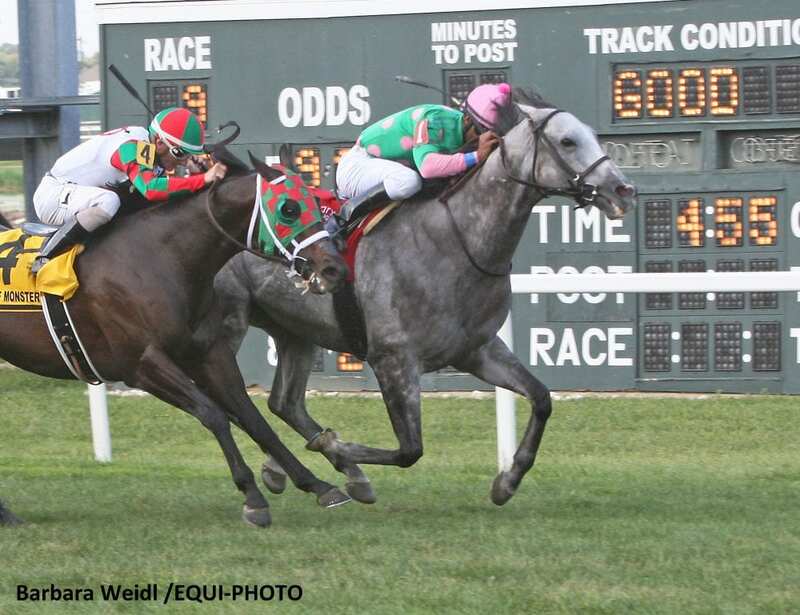 Stablemate Disco Partner, third in last year's running of the Turf Sprint, is scheduled to make the trip to Kentucky. The 6-year-old horse will race as long as the course is not soft, Clement said. This entry was posted in Breeders' Cup and tagged belmont turf sprint invitational, breeders' cup turf sprint, Christophe Clement, churchill downs, disco partner, pure sensation, Turf Sprint by Paulick Report Staff. Bookmark the permalink.